I have not read a series that is consistently good across all the books. All the books were quick and easy read which I devoured them within 3 days. The covers were amazing as you can see below. I loved how the author titled each chapter with quirky quotes from individual chapter. The characters are well developed and realistic. The only complain I have is that the story build up a lot in each book and the story exploded near the end of the book and leaving me wanting more. I am not sure why the author chose cheerleaders as the cover which defeat the purpose and put the Harper in spotlight. After reading four books from Sarra Cannon, she is one of my favorite authors. Other than that, I am looking forward for the fifth and final book of the series. Harper Madison was given up for adoption when she was a baby with the only blue sapphire necklace from her mother. She was in the foster system after a freaky accident burning her adopted father. Her inability to control her powers caused her to be kicked around from one foster home to another until the social case worker running out of homes to put her in. Shadowford Home was Harper’s last chance before juvenile detention. In Shadowford Home, she was introduced to Mrs. Shadowford, Agnes whom Harper got along with pretty quickly and quickly and felt herself drawn to Jackson, the house mother’s son. After a public confrontation with the school’s most famous cheerleader, Tori, on her first day, Harper then became the suspect of the Tori’s murder when her necklace was found with the body. After being released from the interrogation, she was drugged by Mrs. Shadowford. When she woke up, she was told she had the flu and was unconscious for almost five days. She lost some of her memory under a spell. Harper became popular in school, attention from quarterback Drake and eventually made it in the cheer-leading squad. The ending revealed Agnes was setting Harper up for Tori’s murder so she can join the squad which turned out to be a secret coven for witches. 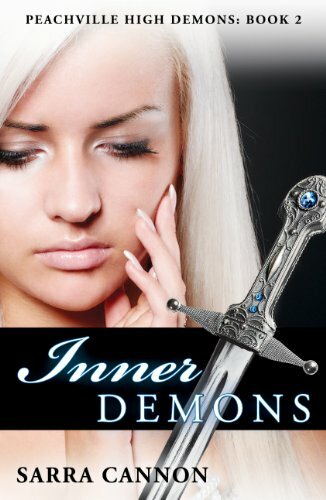 I like the plot better in Beautiful Demons but that doesn’t stop me from reading Inner Demons. The story continued with Harper getting initiated by receiving spell that caused a tattoo of a demon appeared on her back. Each coven was represented with a certain demon symbol and the tattoo on Harper revealed her as the Prima Futura or the future leader of the coven. Drake Harper sneaked in to Brooke’s final induction to the Order of Shadows which entailed merging a shadow demon into Brooke’s body. The change changed Brooke completely and Harper was not looking forward to it. Harper found out more detail on her role as Prima and the responsibility through Morgyn. She also found out more who Jackson really was. Morgyn was murdered by a silver dagger and Jackson was the suspect of her murder. Filled with questions, Harper went to visit Jackson in jail and Jackson told her to make a potion to recover her memory. Jackson then was abducted by people who disagreed on witches drawing powers from shadow demons. Harper was hoping to rescue Jackson and ended being hurt herself. 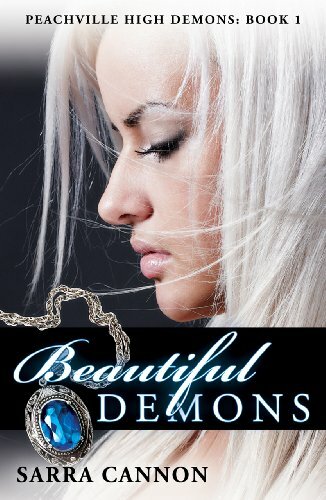 The demon within her blue sapphire necklace, Aerden, came out and rescued Harper and Jackson. The book ended with a cliffhanger and I was started the next book right away without hesitation. With Harper always putting herself in the harm’s way, the Order of Shadows wanted her to commit herself more to the coven by confirmation, second step toward being a Prima Futura. Harper wanted Jackson to reveal more of his secrets and about himself which put their relationship on the brink of breakup. Zara assigned by the High Council as Harper personal body guard as well as trainer. Peachville High had some visitors from another coven. Harper and Caroline decided to switch places using glamour and Caroline was kidnapped by Coven of Crows. Caroline was then released by the Coven of Crows when they realized she wasn’t Harper. Harper was eventually abducted by the Coven of Crows. Alexandria, the leader of Coven of Crows, was holding a grudge against Harper’s ancestor. Order of Shadows chose Harper’s ancestor to lead the coven when they realized Alexandria was practicing black magic. Aerden once again saved Harper. 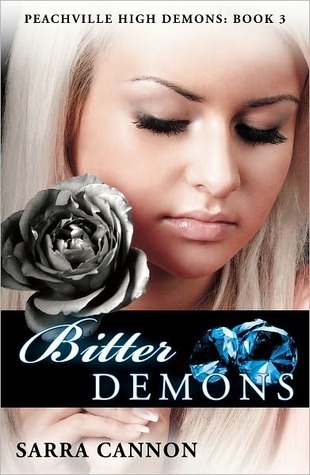 Bitter Demon is my most favorite book in the series. The turn and twist in the plot was perfect kept me on edge the entire time I was reading it. Shadow Demon puzzled me with the appearance Erick, Mordecai, Lea, Joost and Cristo. I thought it took a lot of effort to keep Jackson in the human form and suddenly there are five more shadow demons roaming the earth. Jackson was getting more powerful when Aerden unleashed some of his power in Inner Demon. In Shadow Demons, Harper discovered more information on her mother’s murder and her betrayal by her best friend Mrs. Ashworth. Mrs. Ashworth was in cahoot with the Coven of Crows. Harper attacked Mrs. Ashworth and turned fugitive. Harper also found out about the real truth behind the Aldeen Kansas massacre by the High Priestess Winter, Zara’s mother. Aldeen Kansas coven wanted to allow recruits to have freedom to choose and have communication to the shadow world instead of capturing a demon and forced it into recruits. Harper was sentenced to death by the High Priestess and Jackson rescued her to shadow world. 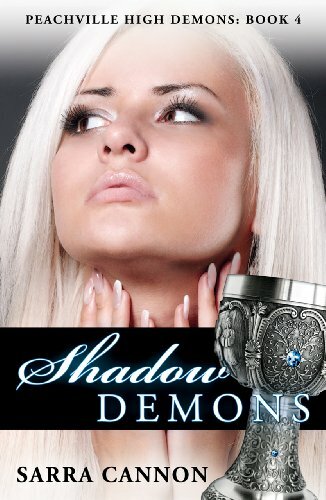 Shadow Demons sort of lost me a bit with the plot but I guess the author wanted to continue the plot in the final book. I just have to be patient and wait for the next book.